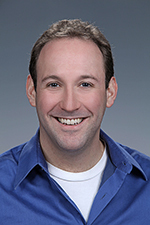 Congratulations to Dr. Ben Kravitz, atmospheric scientist at Pacific Northwest National Laboratory, on being chosen to serve on the editorial board of Earth System Dynamics (ESD). Kravitz, chosen for his expertise in climate modeling and geoengineering, will assist with peer-reviews to evaluate manuscripts submitted for publishing. The ESD journal focuses on publishing research about whole Earth systems and global climate change. ESD is published for the European Geosciences Union. Kravitz began a PNNL postdoctoral appointment in 2012. He is rapidly receiving recognition for his research in climate modeling with a focus on geoengineering—proposed tactics to deliberately reduce the amount of solar energy retained by the Earth. His research works to understand the relationships between natural and human-caused changes in the atmosphere, and how geoengineering techniques may impact those interactions. He joined PNNL after receiving a Ph.D. in atmospheric sciences from Rutgers University. He has published more than 33 peer-reviewed papers and helped establish the Geoengineering Model Intercomparison Project (GeoMIP) to understand how climate models treat geoengineering scenarios. Results from GeoMIP were included in the recently published Fifth Assessment Report of the Intergovernmental Panel on Climate Change, to which Kravitz was a contributing author.